Did you know… April 10 of every year is National Siblings Day. Celebrate this special and one-of-a-kind day with these warm and fuzzy siblings quotes! National Siblings day is a holiday thought of by Claudia Evert for her sister and brother. They both died at an early age and it was her way of commemorating them. Thankfully, most of us are lucky enough to grow up with our siblings. Sometimes, it meant bouts of fist fights, hair-pulling, tears, and broken toys. For other times, it was fun times with pets, neighborhood playmates, swimming in the pond, or hours of creative play. And as we grew older and no matter how many petty fights we’ve fought, siblings will always be there to stand by you, cheer you up, and prop you up during the hard times. Celebrate National Siblings day by giving your brother or sister a bear hug today. 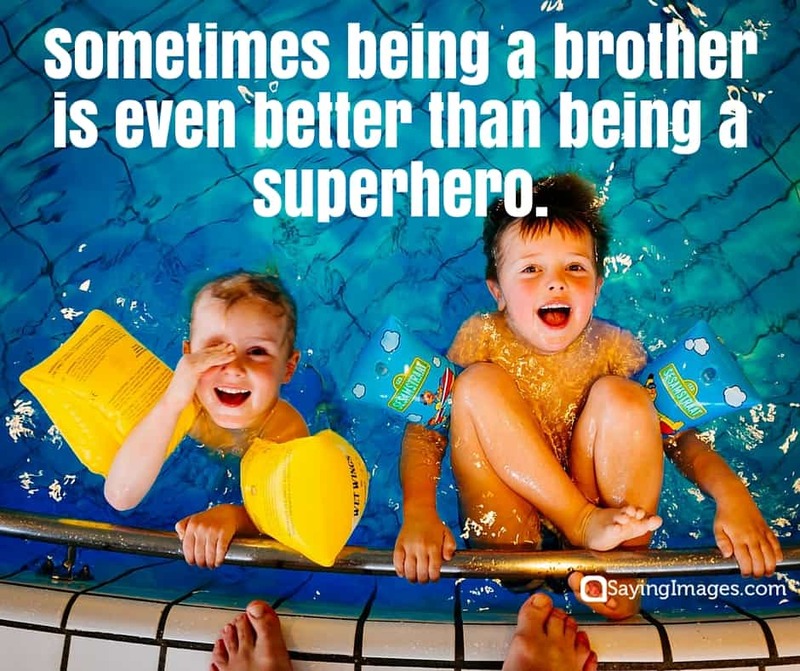 And if that’s not possible, then share a special siblings quote from our list below! Your siblings might grow up with you or not, however, every time you need to help and share, they are always willing to be beside you. There is a lot of things happening every day that might ruin your relationship with your partners, colleagues, mates or friends. When they are not satisfied with the relationship with you, they will leave without any reasons. But, your siblings will not. If you have brother or sister, you are very lucky because they are perfect people who share your happiness and sorrow in this life. Occassionally, you will have different point of view with them, sometimes you argue and feel bad. Nevertheless, finally, your connection with your siblings never disappear. A sibling is also one of your best friends. Siblings: your only enemy you can’t live without. 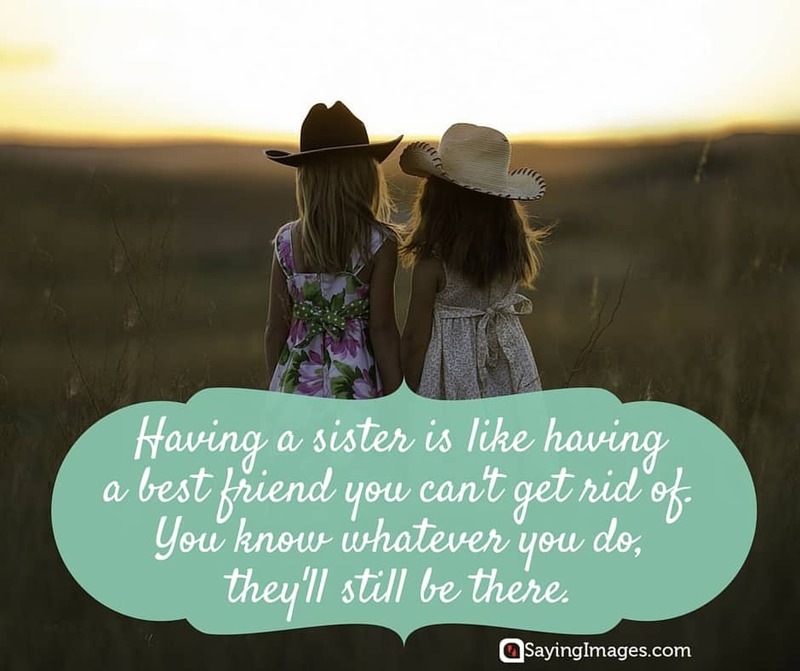 When you have sister, you will think there is nothing sweeter than this because she will care about you softly, always be ready to share with you all things around, listens to you when you want to talk, laughs when you are happy and just keeps silent when you are sad. Moreover, it is also interesting when you have a brother. He will protect you against all things in this life and let you feel safe. I may fight with my siblings. But once you lay a finger on them, you’ll be facing me. 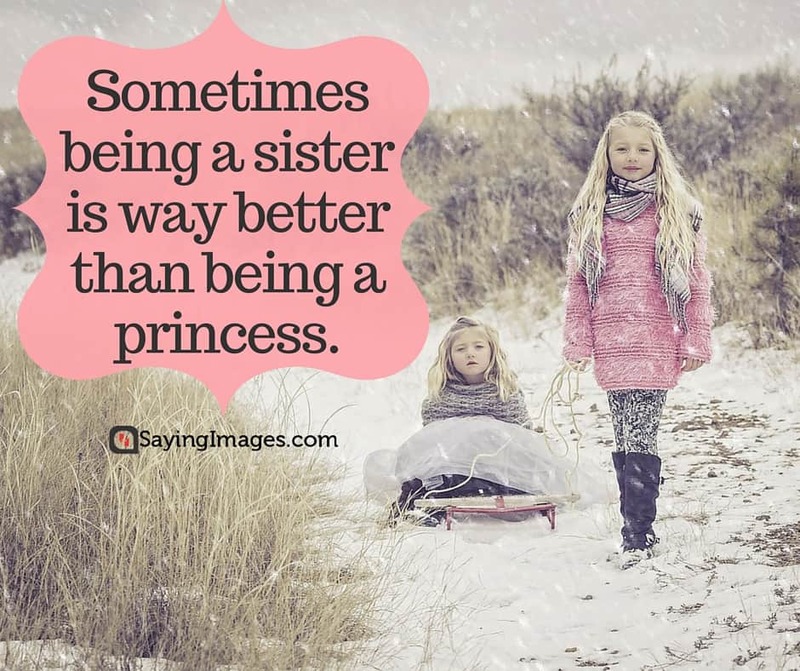 Sometimes being a sister is way better than being a princess. Sisters are probably the most competitive relationship within the family, but once the sisters are grown, it becomes the strongest relationship! 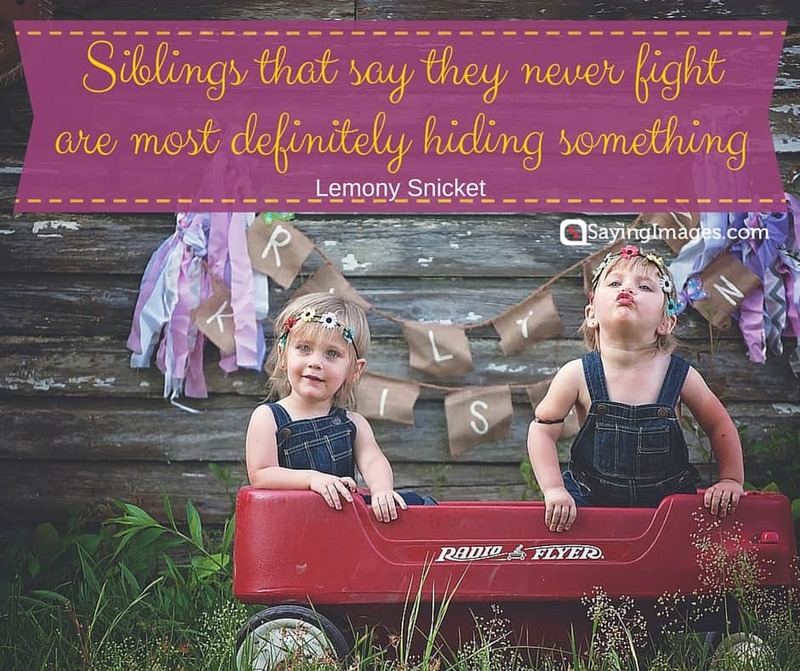 Share these Sibling Quotes with your brothers, sisters, family and friends! Show your appreciation for that very special person in your life.